Mark Your Calendar for March 9, 2019! Raffle tickets and drink tickets will be available for purchase in advance and throughout the event. Wonderball is an ANCS tradition that dates back to 2002, the year the school opened. It is the largest fundraiser for ANCS and is an event that falls under the umbrella of the Fund Development Committee of the ANCS board. “Wonderball” is the name donned on the ANCS auction/raffle and party about 5 years ago. The auction/raffle is now always called “Wonder Ball” and each year there is a new theme. 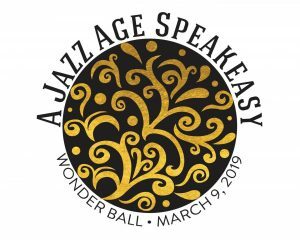 This year we will be stepping back in time into a Jazz Age Speakeasy! The idea is to bring the community together to raise additional funds for ANCS while at the same time have a ton of fun!